Notes from Bureau V and its friends. Come hear Bureau V's Peter Zuspan speak on sound and space as part of the Storefront for Art and Architecture's Playing Space on Thursday, May 17 at 7pm. Join A/D/O at its in-house restaurant, Norman, as it launches its new brunch series Co-Constructing: Architecture for the Arts. Each brunch partners an architect responsible for designing a notable arts space with an artist currently working/performing within that space in an effort to explore the impact of the building on the artist's practice. 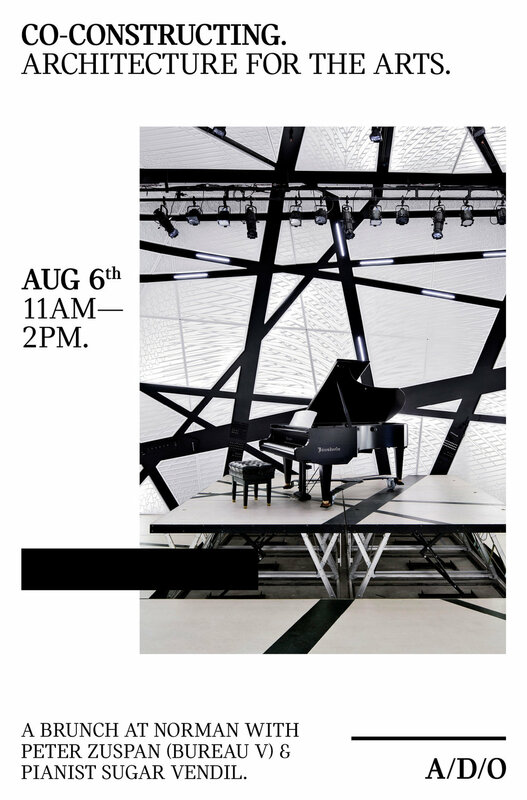 A/D/O kicks off the series with a discussion of National Sawdust with Bureau V's Peter Zuspan and Sugar Vendil, a pianist, multidisciplinary artist, and current National Sawdust artist in residence. Bureau V will open our studio to the public as part of Field Guide Foreword, a north Brooklyn series of events and open houses organized by Open House New York on Saturday, June 11th. In addition, Bureau V's Peter Zuspan will participate in a panel discussion to launch the event. Come visit us! 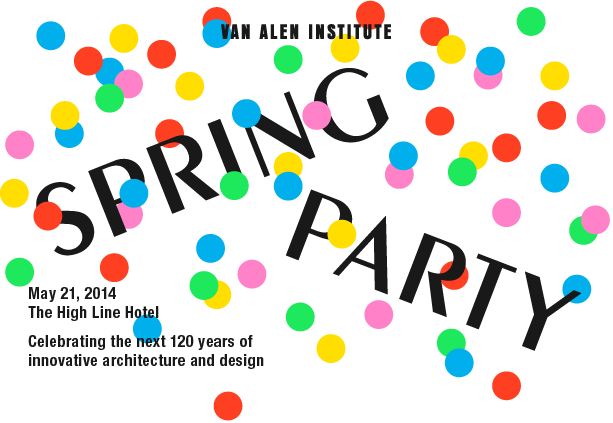 Hope everyone can join us for the Van Alen Institute’s Spring Party on May 21, celebrating the next 120 years of innovative architecture and design. You can get your tickets here: vaispringparty.eventbrite.com. Please join us for Bureau V first Men’s F/W Capsule Presentation produced by the entrepreneurial production company BYCO, featuring music by Brandon Stosuy, Editor, Pitchfork and Robin Carolan, Founder, Tri Angle Records. Bureau V will create a sound installation in Downtown Los Angeles for Arto Lindsay’s parade Trespass on Monday Oct, 2. The performance is part of Art Platform - Los Angeles and is sponsored by West of Rome Public Art.